WWE has announced they are moving their Stamford, Connecticut headquarters to a new location within the city with the move set for early 2021. 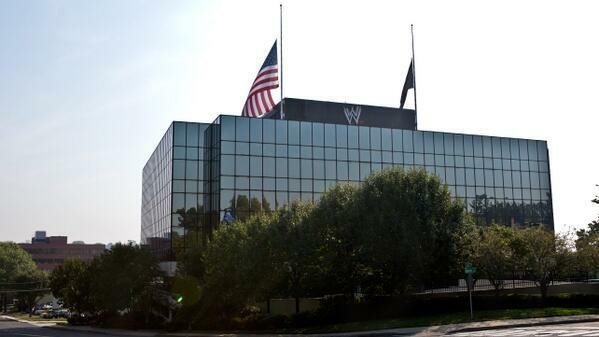 WWE has announced they are moving their Stamford, Connecticut headquarters to a new location in the city. The move is expected to take place in early 2021 as they will leave the headquarters often referred to as “Titan Towers”. The company currently own their space at 1241 East Main Street and lease additional space at 1266 East Main Street. It will sell the former and exit the lease of the latter while considering their options for additional space where their production studios are housed on Hamilton Avenue. In WWE’s press release, they stated “The new headquarters will provide the company with work space suited to its growing and evolving workforce. The site in Stamford’s central business district provides greater access from various means of transportation, floor plans which are well-suited to producing video content and greater flexibility in workplace design”. The company announced plans to enter a 16 ½ year lease on the new building, located at 677 Washington Boulevard. The lease will not begin until at least July 1st, 2019. Their current headquarters was built in 1981 and acquired by the company in 1985 in the middle of their national expansion period.